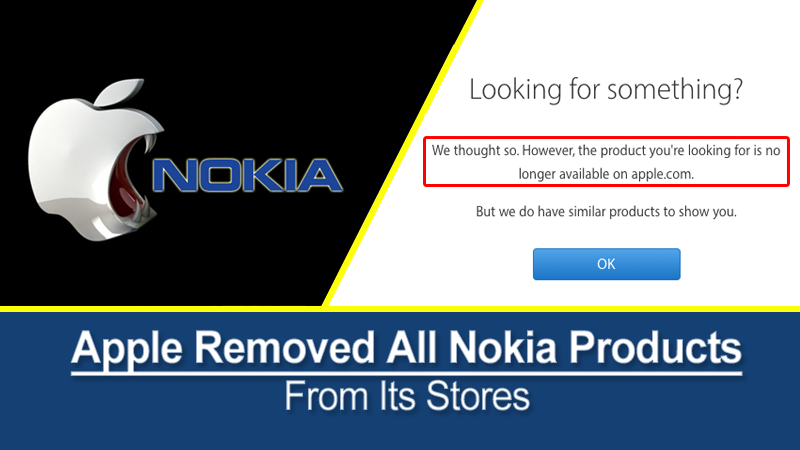 Recently, Apple seems to have now reacted to the process that the Finnish company Nokia has put to it, removing all the products of the Finnish company Nokia from its stores. Court proceedings, which bring large companies to the forefront, leave traces in their relationships that are sometimes difficult to heal. The tech giant Apple seems to have now reacted to the process that the Finnish company Nokia has put to it, removing all the products of the Finnish company from its online store. In a measure considered retaliatory, Apple withdrew from its online store the products of the company Withings, which had been sold for many years. The reason for this change is obvious. Withings is a brand that the Finnish company Nokia bought this spring for $ 192 million and was incorporated into the health division of the Finnish company. Since 3 or 4 days, the Body Cardio Scale, the Smart Body Analyzer, and Wireless Blood Pressure Monitor products are no longer available. Probably this removal will have happened also in the physical stores. The relationship between these two tech giant companies are blurred since the Finnish company put the tech giant Apple in court for alleged use of patents without paying the due amounts. The tech giant Apple has already defended itself and has come out publicly to warn of Nokia’s clear attempt to withdraw money from its patents now that its mobile division does not exist.